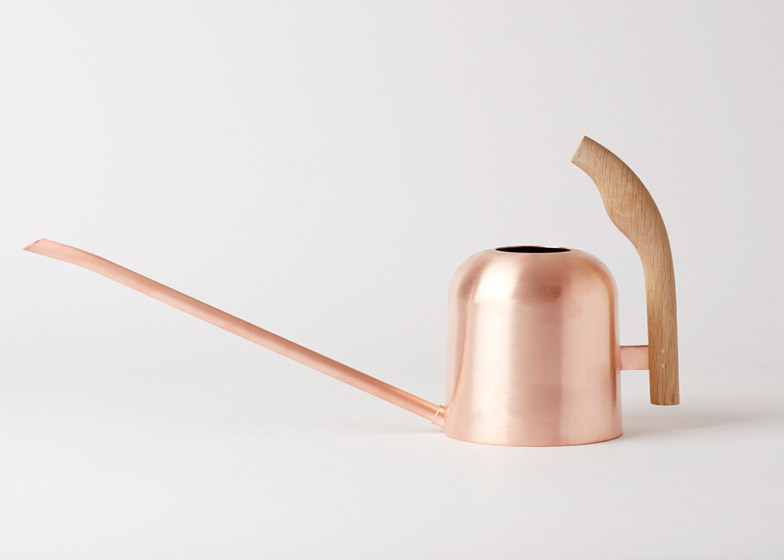 Oslo design studio Anderssen & Voll has designed a watering can with a long, precise spout and plant pots especially for cacti and herbs, as part of a collection of tools for indoor gardening (+ slideshow). 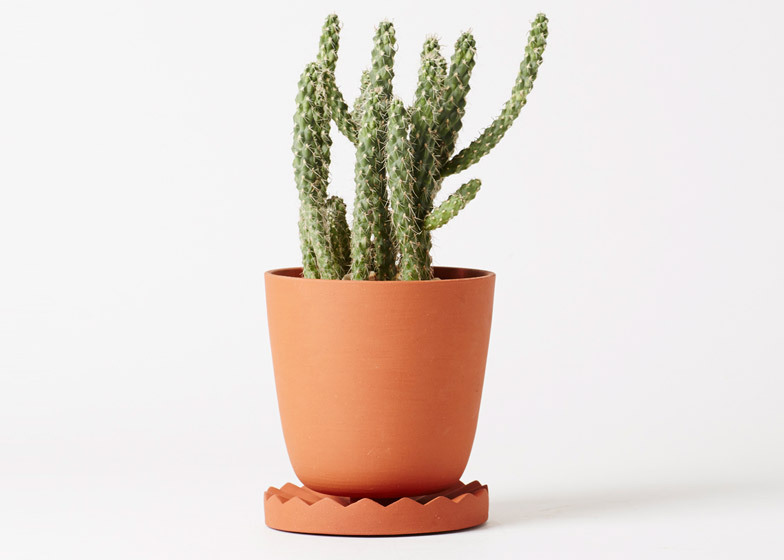 Torbjørn Andersen and Espen Voll created the collection – named the Indoor Gardening Project – for Toronto-based showroom Mjölk, which pairs international designers with local artisans to create small homeware lines. The Norwegian duo chose to focus on the everyday ritual of gardening and the way of thinking that comes with it. "Research has taught us that people who do gardening are happier than people who don't," said the designers. "Either gardening makes you happy or you are more inclined to do gardening if you tend to be happier than the average. Anyways the conclusion is the same: gardening is pretty good." 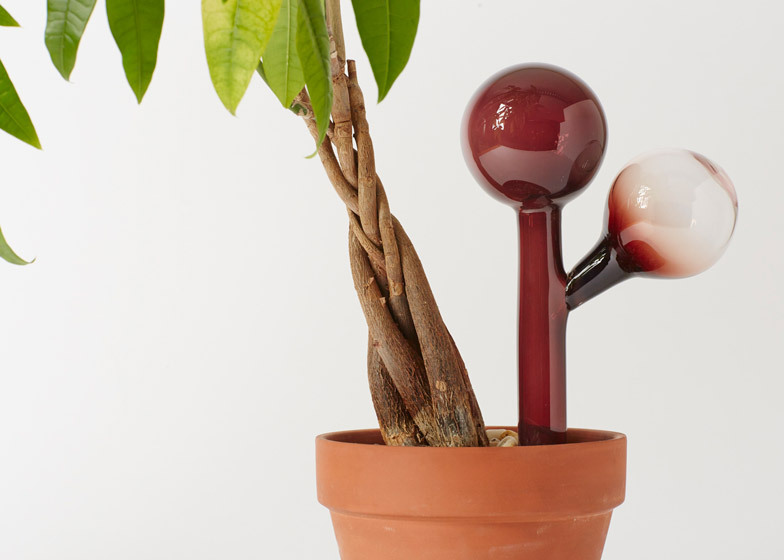 Working with Toronto artisans and crafts people, Anderssen & Voll created tools intended to improve on those that already exist and bring beauty to indoor gardening. "A big challenge was to pay as much respect to the plants that are going to live inside the products as to the people that are going to use them," Anderssen told Dezeen. 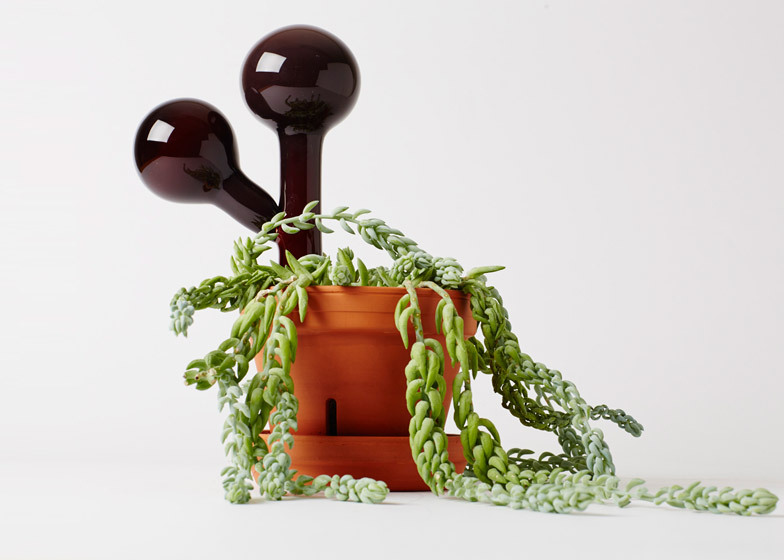 "At the same time, this dual consideration gave us the key inspiration for most of the items – especially the pots." 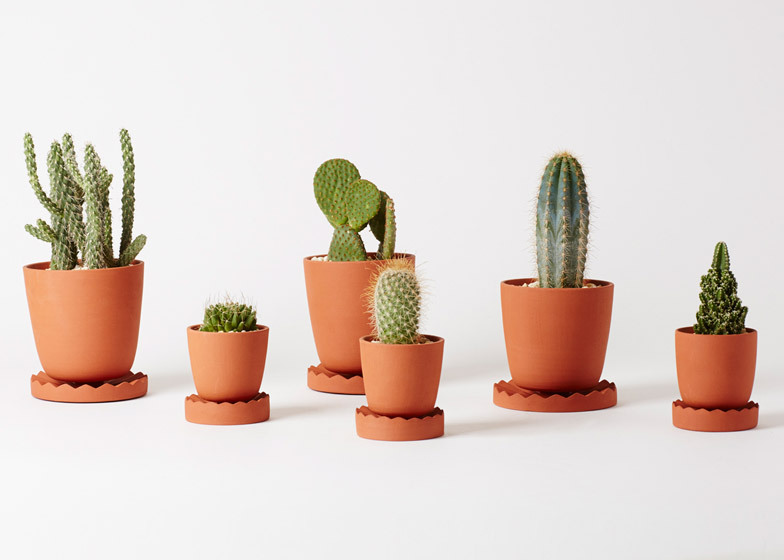 As part of the collection, standard plant pots have been adapted for indoor flora. 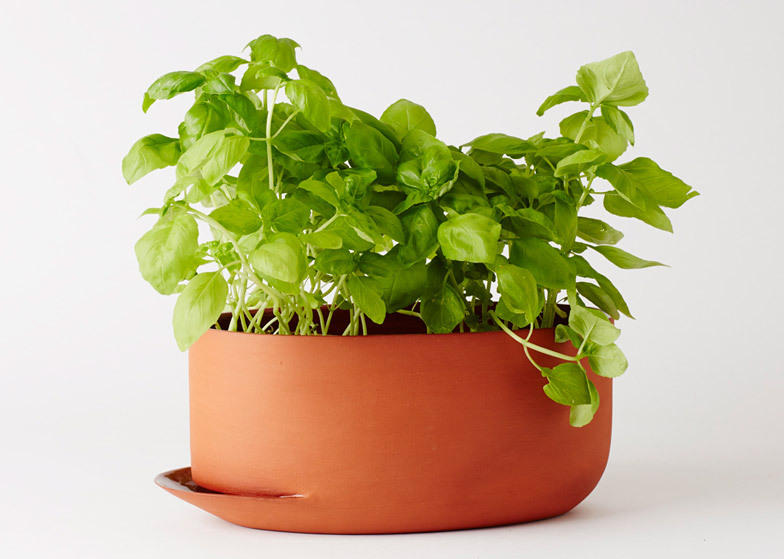 The Herb Pots, which have a lip-like opening near their base, are designed for the fresh herbs that can be bought pre-potted from a supermarket. "In our experience these herbs lead an unsafe existence once they hit the kitchen counter: heavily plucked and with no designated place to stay," said the designers. 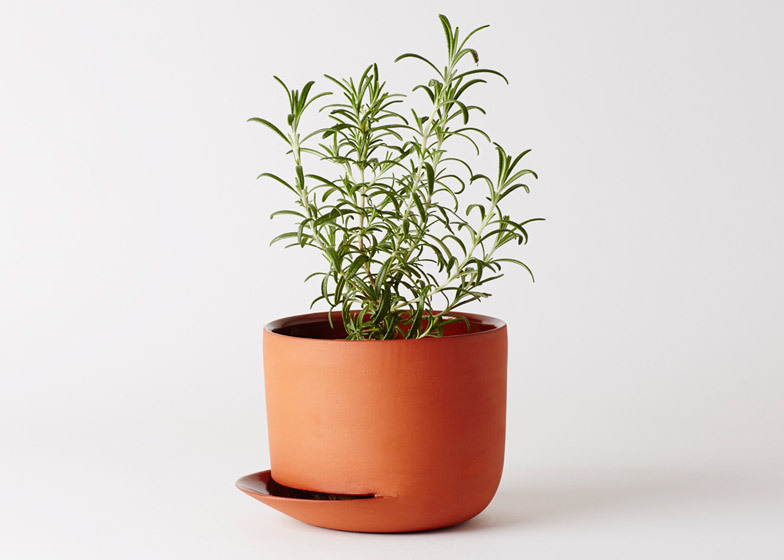 "The opening on the side allows you to water the roots rather than the soil and to pour away excess water 20 minutes after watering." 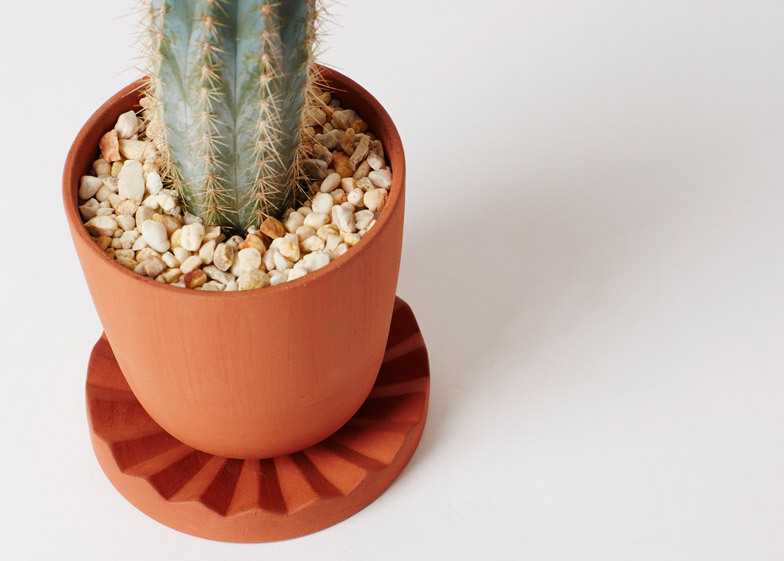 Cacti prefer to be watered directly into well-drained soil and their roots should never be standing in water. 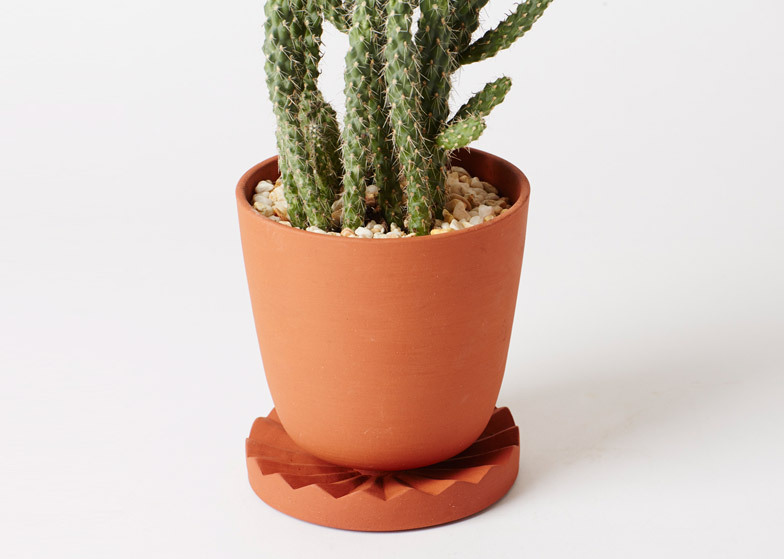 Therefore, Anderssen & Voll adapted the design of the New Mexico cactus pots by lifting the container on a short stem above the water-collecting disc. 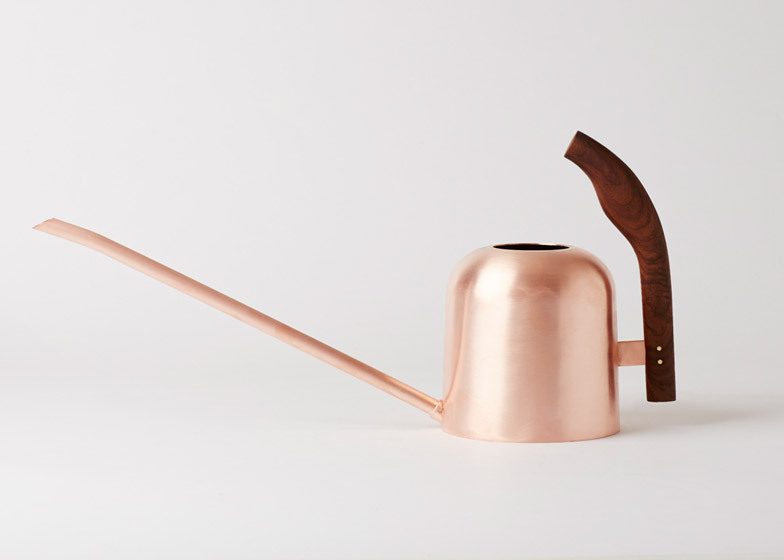 The shape of the metal Min watering can – with a softly shaped wooden handle and elongated spout – was chosen for its pouring precision. "Indoor gardening is a miniature world," said Anderssen. "Clean, cultivated and controlled." 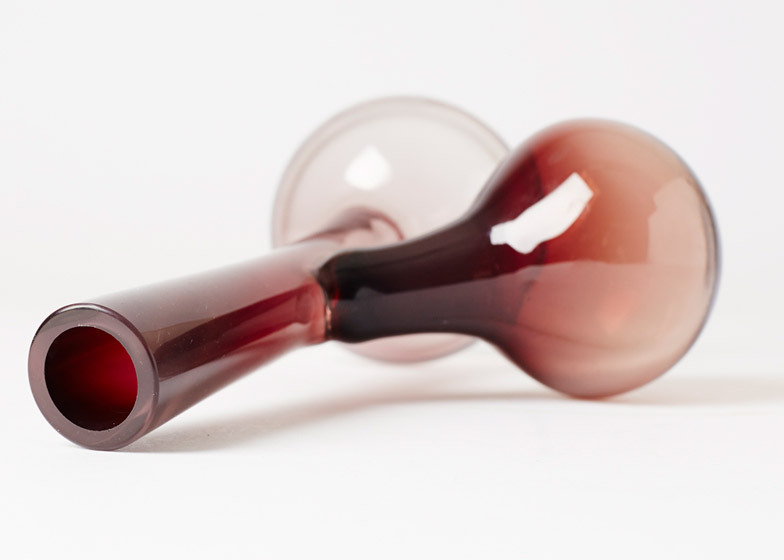 Anderssen & Voll also created a sculptural glass object with two stalks and bulbous ends. 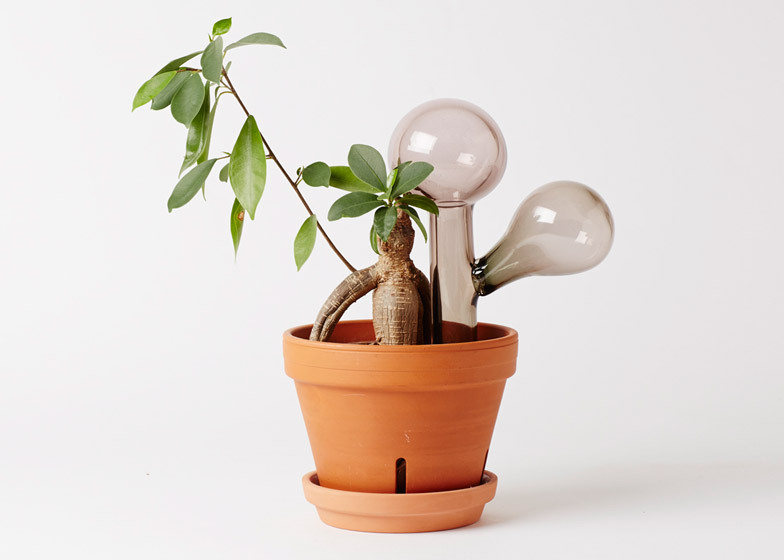 The Water Bulb filters liquid through the soil so it seeps slowly into the pot, in a similar way to a makeshift solution created with a plastic bottle turned upside down. Untreated metals, waxed wood, terracotta and glass were used for all the pieces in the Indoor Gardening Project. "We chose to work with 'open surface' natural material finishing to ensure that the products would tolerate heavy use and still age with grace: materials that won't chip and where wear won't appear as damage," said Anderssen. Anderssen & Voll said that working with artisans through a method of regional, craft-based production offered "a speedy, flexible and organic developing phase". It also allowed them to "produce products that you probably wouldn't industrialise as the technological investment would demand projected sales figures in the millions and start-up costs on a very high level". The glass was made by Gregor Herman; the metal work was done by Danish company Harnisch Lamps; the pots were hand-thrown by Canadian-Portuguese ceramist Filipa Pimentel; and the wood handles of the watering cans were made by Urban Product. 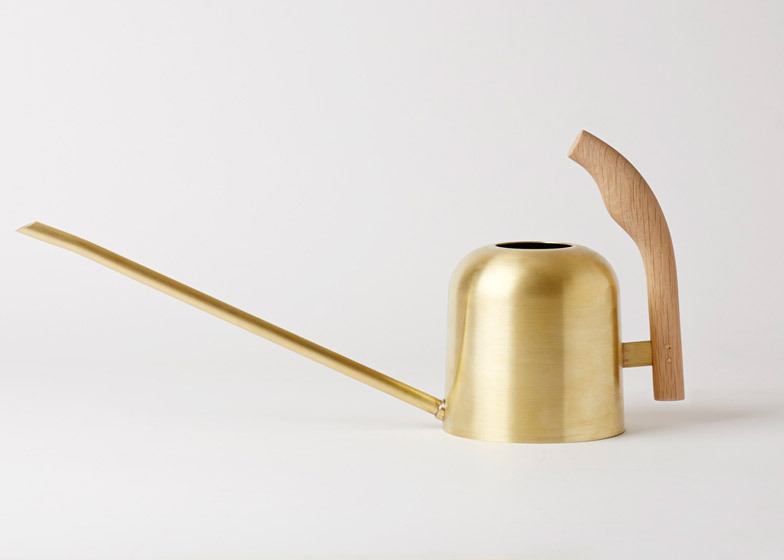 The designers described gardening's "repetitive actions that you can turn into personal ceremonies and everyday rituals" as a good fit with Mjölk's previous collections of coffee and tea-related products by designers including Luca Nichetto.